The land was given by Chief Powhatan to John Rolfe as part of the dowry for his daughter Pocahontas in 1614. 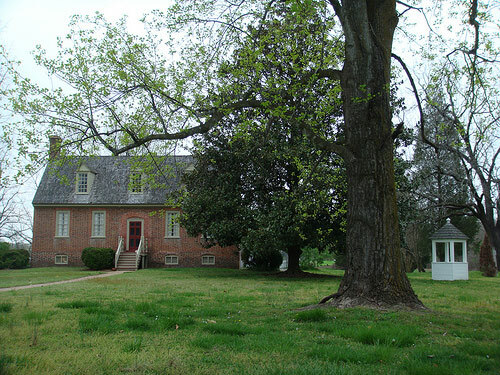 The brick house is eighteenth century and there is a herb garden restored by the Garden Club of Virginia. Nestled on the south side of the James River, Smith's Fort Plantation offers a quiet refuge from the bustle of everyday life. Built sometime between 1751 and 1765, the story-and-a-half brick house is laid in Flemish bond and was home to Jacob Faulcon and his family. A gabled roof is accented with dormer windows and the house retains much of the original pine interior paneling and woodwork. The name "Smith's Fort Plantation" come from the fact that John Smith began construction of a fort on this site in 1608. Directly across from Jamestown on Gray's Creek, Smith's Fort offered a strategic location but was quickly abandoned. Later in that century, Chief Powhatan gave his new son-in-law, John Rolfe, a grant of land as a dowry gift on the occasion of his marriage to Pocahontas although the couple never lived on site. Preservation Virginia acquired Smith's Fort Plantation in 1933. 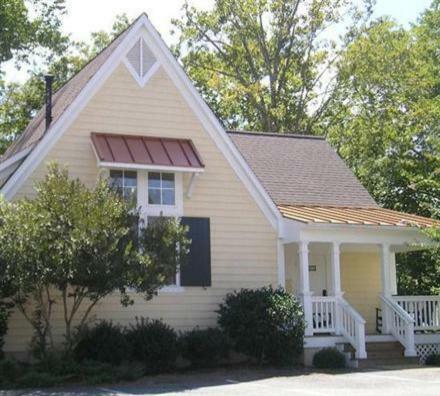 It has been fully restored and has a fine collection of English and American furnishings. 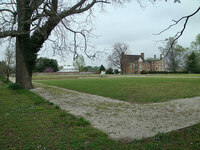 Today, visitors can see the site of the retreat fort, the house, and its small herb garden.